Any trip to Puglia, the heel of the Italian boot, should include a visit to one of the most unique cities you will ever see. 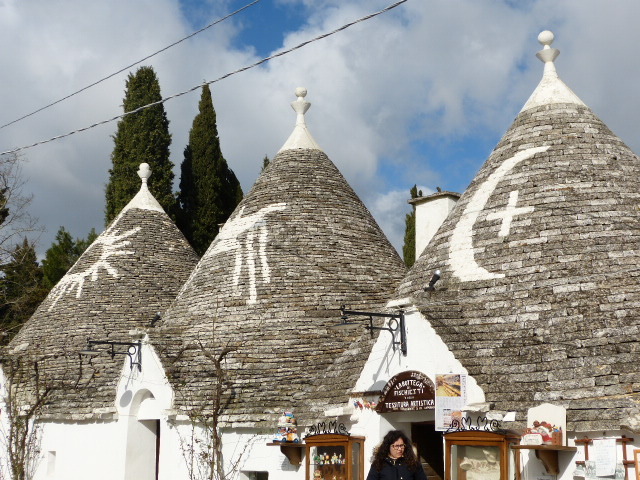 Famous for its unique cone-shaped houses, called trulli, Alberobello has a population of about 11,000. 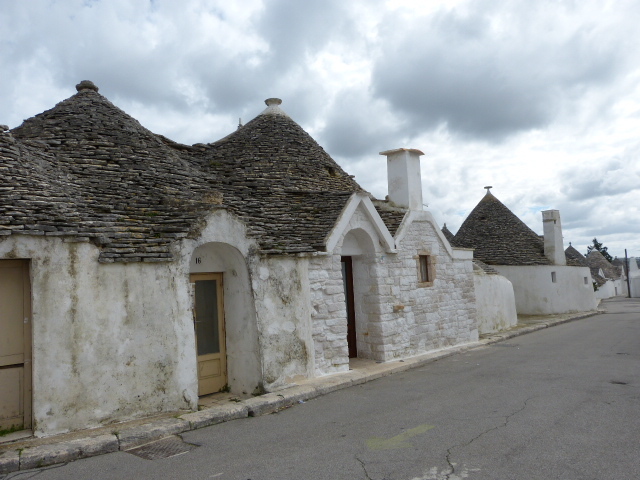 The city consists of two main areas, Rione Monti which has 1,030 trulli and the older, less touristy Rione Aia Piccola with 590 trulli. Alberobello received Unesco World Heritage status in 1996. The area dates back to the 14th century, when Count Convesana was given the land in recognition of his service during the Crusades. The Count allowed his peasant workers to settle here but to avoid taxes, they were required to build homes with drystone walling that could be dismantled quickly when royal inspections were conducted. The workers would take everything down, scatter and return after the land inspectors had left, rebuilding their homes. 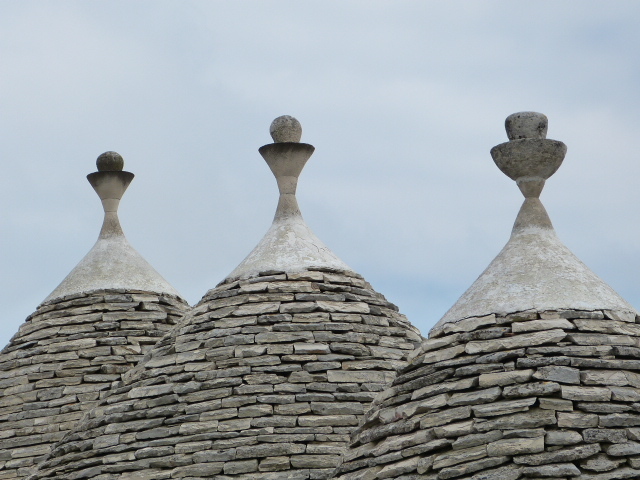 The trulli, made of limestone collected from neighboring fields, have no mortar and cone-shaped domes. The markings on the domes are magical or pagan symbols. As you walk through Alberobello, you get the sense that any moment you just might encounter a gnome peeking out a doorway at you. It’s a one-of-a-kind fairytale setting, something right out of Disneyworld. But it’s not. It’s where real people live and have lived for hundreds of years. 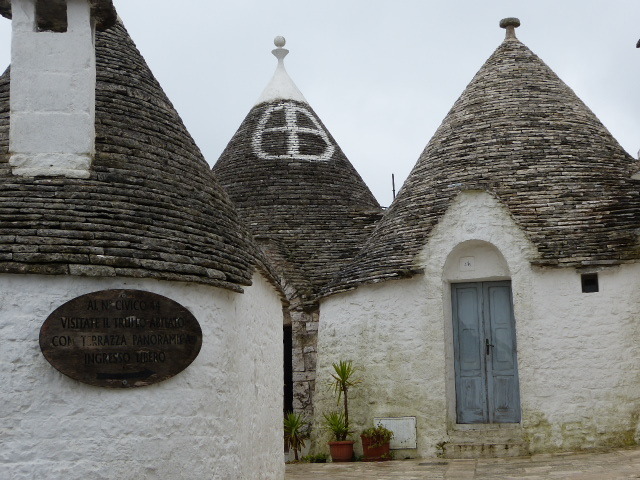 A highlight of any visit to Alberobello is to stay a night or two in a trullo to experience the quaint unique style of these houses and to be able to wander through the tiny streets of both Rione Monti and Aia Piccola. 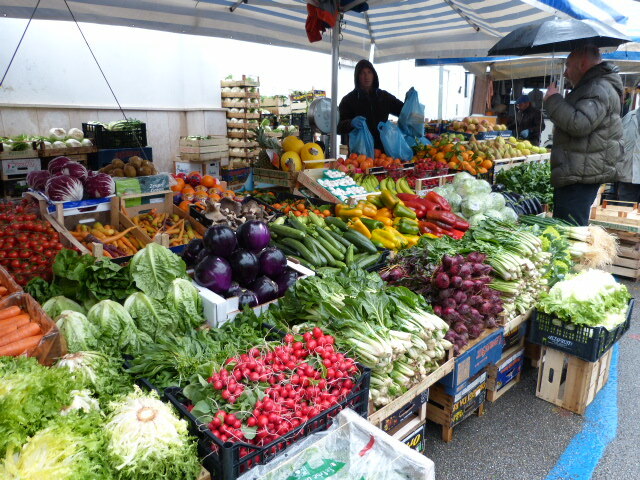 Thursday mornings the local market takes over the main street, overflowing with every sort of stall you can imagine. By plane – flights can be taken into both Bari and Brindisi airports. 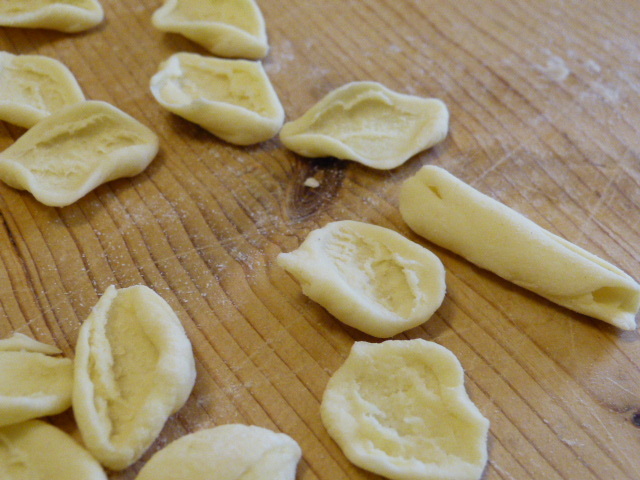 By train – Trenitalia has a regular schedule to Bari. From Bari or Brindisi, use the FSE (Ferrovie Sud Est) train to Alberobello (approx. 1.5 hours). 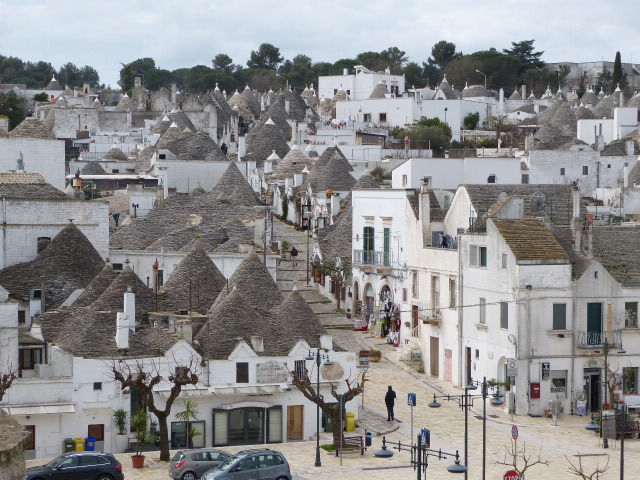 Why not combine a visit to Alberobello with a visit to similarly enchanting small towns in the centre and north of Italy? 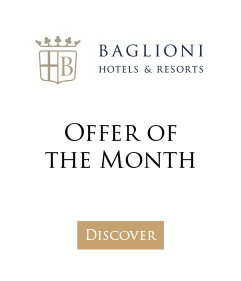 Now you can do this by arranging a bespoke Baglioni Tour itinerary – your Italian dream is just an email away!